It's the song that brings ultimate hope to so many... often in the midst of life's most challenging moments. Amazingly, the song was written in mere minutes by MercyMe lead singer Bart Millard. In reality, those lyrics took a lifetime to craft. Although he found faith at a young age, life wasn't easy for Bart. He leaned into an active imagination and his love of music as escapes from a troubled home life. As he grew older, Bart turned to football in hopes of somehow connecting with his abusive father. But a career-ending injury - combined with the vision of a teacher who saw unlimited potential - set Bart on a musical pathway. Chasing a dream while running from broken relationships with his father and Shannon, his childhood sweetheart, Bart hits the road in an old, decrepit tour bus with his new band MercyMe - named for his grandmother's favourite expression. With the guidance of a grizzled music-industry insider, the band begins a journey none of them could ever have imagined. Directed by the Erwin Brothers (October Baby, Moms' Night Out, and Woodlawn), I CAN ONLY IMAGINE stars J. Michael Finley, Madeline Carroll, Trace Adkins, Priscilla Shirer, with Cloris Leachman and Dennis Quaid. 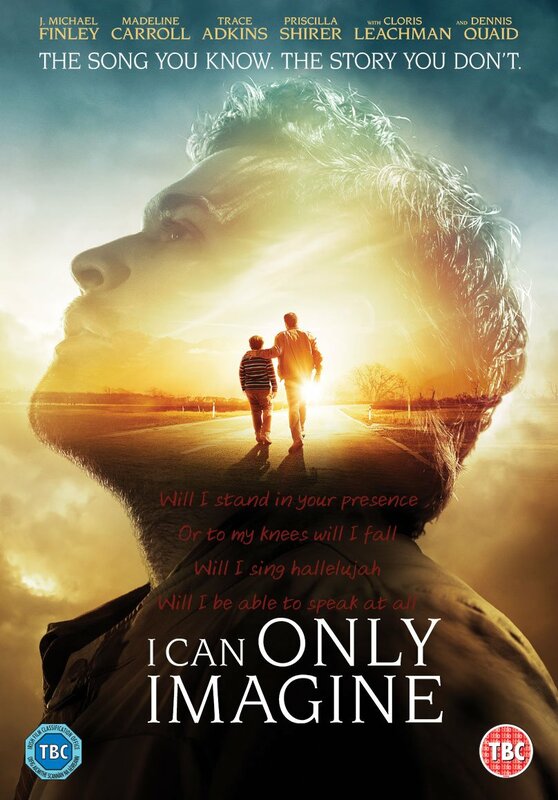 A gripping reminder of the power of forgiveness, I CAN ONLY IMAGINE beautifully illustrates that no one is ever too far from God's love - or from an eternal home in Heaven.